I love jellies. They can add such depth to a manicure in just a couple coat. I also love stamping. 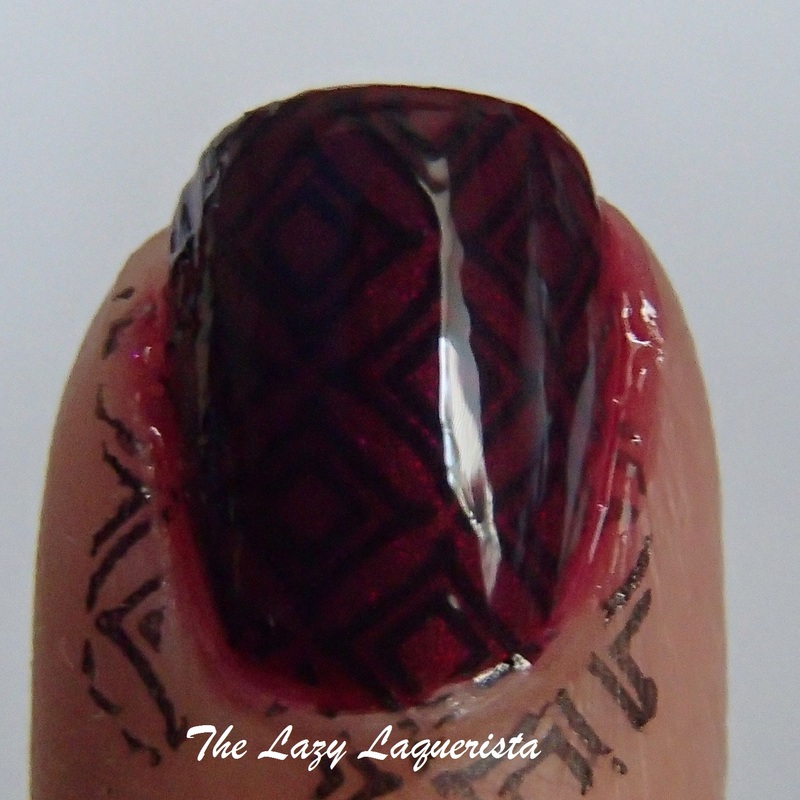 You can add a complex design to your nails in minutes. Today I tried combining the two and add some dotting into the mix as well. Here's what I ended up with. The colour is just so rich and squishy looking! This is definitely a manicure that will be staying on for a few days. Scroll down to find out how to do this yourself. It was actually really easy. 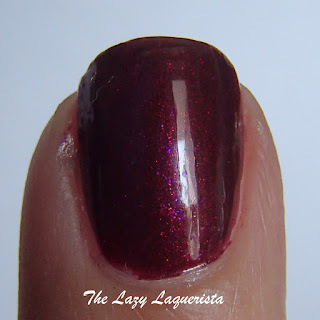 You will need an opaque polish, a sheer jelly polish, a stamping polish and a glitter polish. You will also need a small dotting tool, stamping supplies and a shiny top coat. 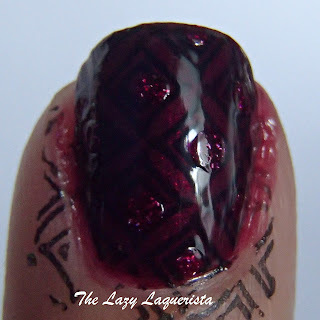 Contrary Polish Firebrand, Zoya Paloma, CND Blackjack and Zoya Blaze. Paint your nail with the base colour using as many coats as it takes to get opaque. I used two coats of Firebrand. Add one coat of your jelly polish. I used Zoya Paloma. Wait until the jelly polish is completely dry. Stamp on the design of your choice. 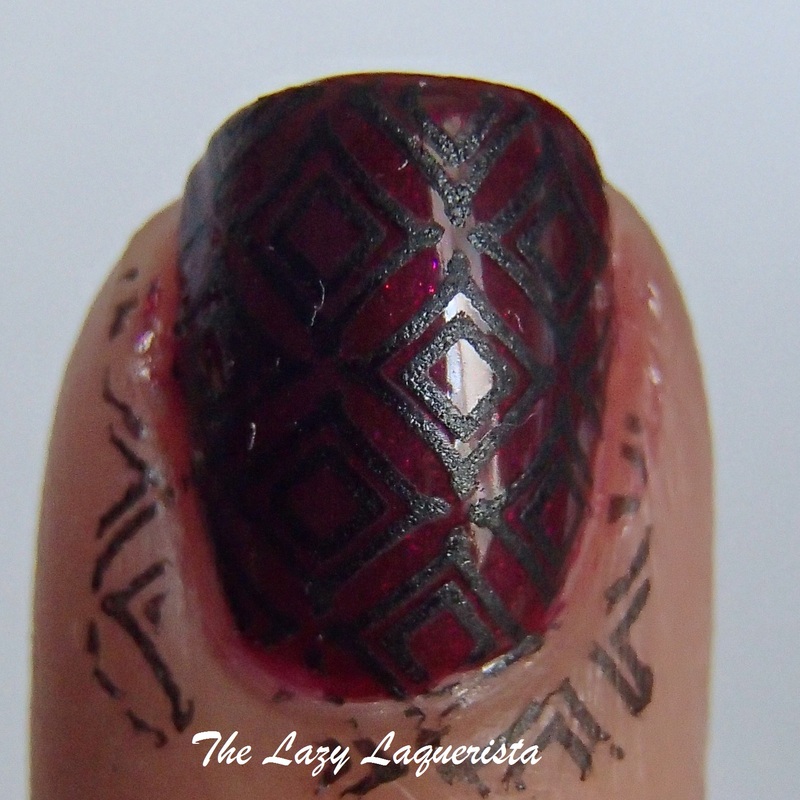 I used the Bundle Monster BM203 plate with CND Blackjack. Add another coat of the jelly polish. Try to minimize the brush strokes needed so you don't smudge your stamp. Using your dotting too, add dots on top of the design where appropriate. 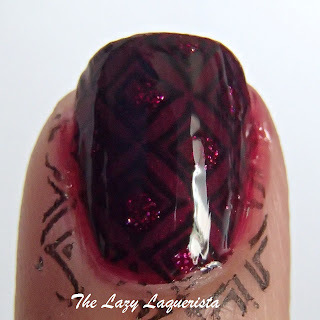 I put a dot of Zoya Blaze in the center of each diamond. Add a coat of a shiny top coat to smooth out the dots. Clean up around your nail with some acetone polish remover and enjoy your shiny new mani!